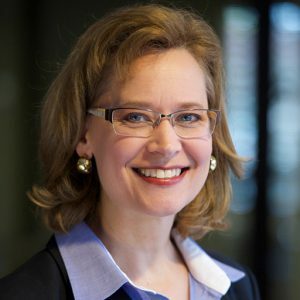 Dr. Coffey received her doctorate from the University of Georgia, where she focused on media management, economics, and audience issues. Her research interests stem in part from her professional news background, which included positions with CNN in Atlanta, as well as reporting, anchoring, assignment editing, and production positions in television and radio in Ohio, Tennessee, and Georgia. Dr. Coffey teaches courses in audience analysis, telecommunication programming, media management, and innovation/entrepreneurship. Her research interests include audience economics and language, with an emphasis on non-English language programming within the United States, as well as market segmentation and other strategic competition issues. As a secondary area, she has examined the utility of new media spaces, including virtual environments such as Second Life. Her work has been published in such journals as Journalism & Mass Communication Quarterly, Journal of Advertising Research, Communication Law & Policy, International Journal on Media Management, and the Journal of Media Business Studies. Dr. Coffey has been awarded grants by the National Association of Broadcasters and the U.S. Department of Defense, and has made presentations at meetings of the Association for Education in Journalism and Mass Communication (AEJMC), Broadcast Education Association (BEA), the International Communication Association (ICA), and the World Media Economics & Management Conference (WMEMC). Coffey also holds a masters degree in journalism from The Ohio State University and has served on the faculty of Berry College in Mt. Berry, Georgia. Dr. Coffey is an affiliate faculty member of the UF Center for Latin American Studies. She was awarded a University of Florida Research Foundation Professorship for 2014-2016. Coffey has also received the College of Journalism and Communications’ 2013-2014 Faculty Research Award, 2013-2014 Faculty Service Award, 2011-2012 Teacher of the Year Award, and was named a 2011 International Educator of the Year (junior faculty). She serves on the editorial boards of the International Journal on Media Management, the Journal of Media Business Studies, and the International Journal of Hispanic Media. Coffey, A.J. (2018). Challenging assumptions about ownership and diversity: An examination of U.S. local on-air television newsroom personnel. International Journal on Media Management, 20(4), 277-305. Coffey, A.J., Kamhawi, R., Fishwick, P., & Henderson, J. (2017). The efficacy of an immersive 3D virtual versus 2D web environment in intercultural sensitivity acquisition. Educational Technology Research and Development, 65(2), 455-479. Hull, K. & Coffey, A.J. (2015). An exploration of shared services agreements within U.S. local television markets. Journal of Media Business Studies, 12(2), 138-151. Coffey, A.J. (2014). The power of cultural factors in Spanish-language advertising. Journal of Advertising Research, 54(3), 346-355. Yang, Y. & Coffey, A.J. (2014). Audience valuation in the new media era: Interactivity, online engagement and electronic word-of-mouth value. International Journal on Media Management, 16(2), 77-103. Yang, Y. & Coffey, A.J. (2014). Audience interactivity on video websites and the business implications for online media platforms. Journal of Media Business Studies, 11(2). Coffey, A.J., Kamhawi, R., Fishwick, P., & Henderson, J. (2013). New media environments’ comparative effects upon intercultural sensitivity: A five-dimensional analysis. International Journal of Intercultural Relations, 37(5), 605-627. Coffey, A.J. (2013). Representing ourselves: Ethnic representation in America’s television newsrooms. Howard Journal of Communications, 24(2), 154-177. Coffey, A.J. (2013). Understanding the invisibility of the Asian-American television audience: Why marketers often overlook an audience of “model” consumers. Journal of Advertising Research, 53(1), 101-118. Coffey, A.J. (2012). Advertiser attitudes regarding the substitutability of English language television to reach foreign language target audiences. Journalism & Mass Communication Quarterly, 89(4), 710-730. Coffey, A.J. (2012). Teaching students to serve niche audiences: A case study in Spanish language news. Electronic News, 62(2), 81-91. Coffey, A.J. & Wurst, J. (2012). Audience as product: Identifying advertiser preferences. Journal of Media Business Studies, 9(4), 21-39. Coffey, A.J. & Cleary, J. (2011). Promotional practices of cable news networks: A comparative analysis of new and traditional spaces. International Journal on Media Management, 13(3), 161-176. Beck, D., Fishwick, D., Kamhawi, R., Coffey, A.J., & Henderson, J. (2011). Synthesizing presence: A multidisciplinary review of the literature. Journal of Virtual Worlds Research, 3(3), 3-35. Coffey, A.J. & Sanders, A.K. (2010). Defining a product market for Spanish-language broadcast media: Lessons from United States v. Univision Communications, Inc. and Hispanic Broadcasting. Communication Law and Policy, 15(1), 55-89. Fishwick, P., Kamhawi, R., Coffey, A.J., & Henderson, J. (2010). An Experimental Design and Preliminary Results for a Cultural Training System Simulation. Proceedings of the 2010 Winter Simulation Conference, Baltimore, MD, 799-810. Dr. Coffey’s research centers on media management and economics, and audience valuation and non-English language audiences in the United States in particular. She has examined linguistic market segmentation and Hispanic television audiences, as well as the legal and economic questions of market definition. Coffey has researched the utilization of new media spaces by media firms and has also collaborated with an interdisciplinary group of scholars exploring the value and efficacy of virtual environments, such as Second Life, based on cognitive and cultural sensitivity outcomes.